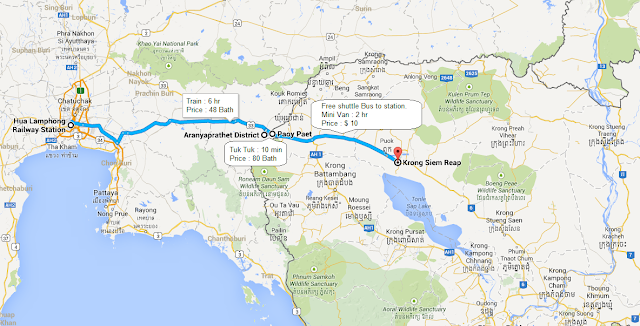 If you want to travel from Bangkok to Siem Reap, you like to take train or bus? I have choose to take train. So here began my journey. 从曼谷到柬埔寨需要很长的一段时间! 我总共花了大概 8 - 9 小时在交通上. 虽然有点累， 但可以看到很多不同的人，事，物. From Bangkok to Siem Reap you need to waste a lot of time in traveling. I have waste around 8 - 9 hour to reach my destination, It's a long journey, but I have fun. 您需到 HuaLamphong 火车站出发. 火车上无空调. 我的出发时间是 5 .50am, 从曼谷到 亚兰. 那里的工作人员建议请早到半个小时. 火车上有厕所, 小贩会一直来回叫卖~ 所以不需要担心. You need to go to Hua Lamphong Train Station to buy the train ticket to Aranyaprthet. 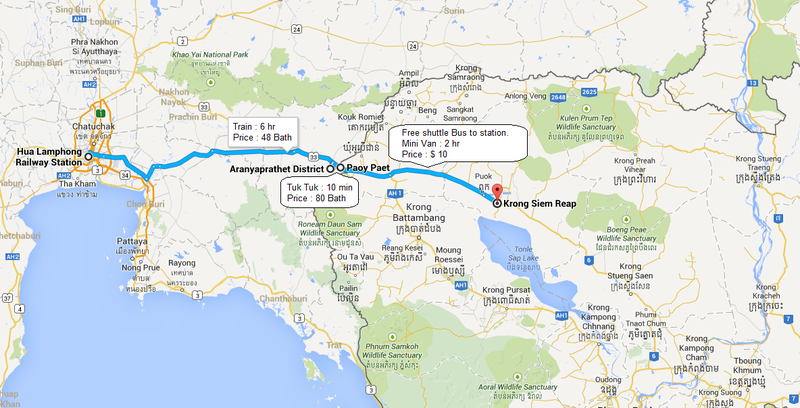 I have brought 5.50am train to Aranyaprthet. Recommend go half and hour early to wait for the train.